The dew on a flower. The colour of a cat's eye. The facets and sparkle of a diamond ring. Some ultra-close-up photos are difficult to capture with a standard lens. 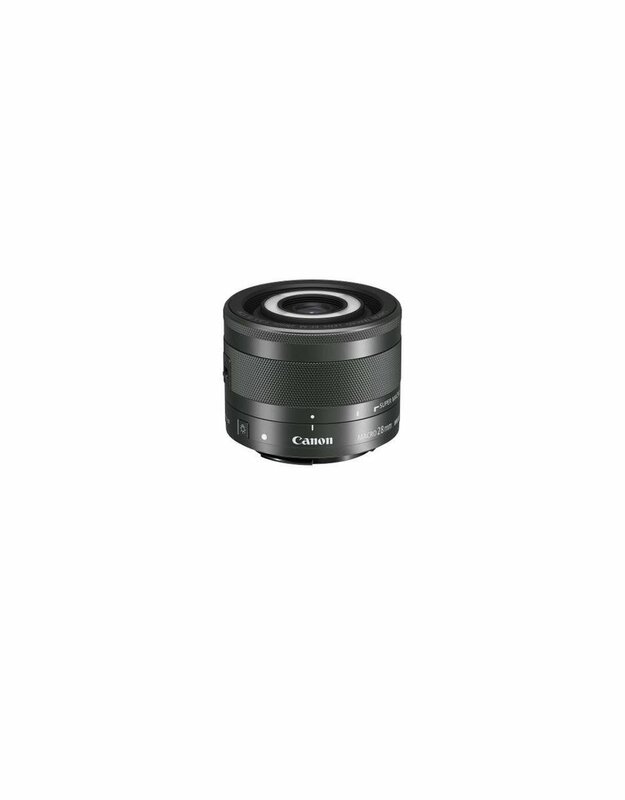 The compact EF-M 28mm f/3.5 Macro IS STM for EOS M series digital cameras is the world's lightest autofocus lens and the world's first macro lens with a built-in Macro Lite, designed to help new and more advanced users close in to capture these incredible details. The built-in, forward-facing Macro Lite helps illuminate hard-to-capture subjects for bright, vibrant photos showing off big, bold details. 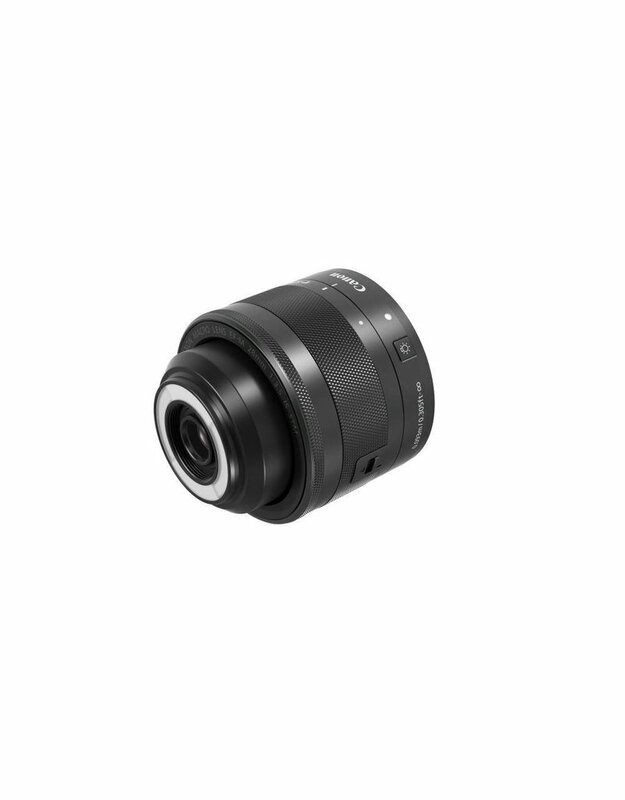 The world's first autofocus lens capable of focusing to infinity in normal shooting and Super Macro Mode provides magnification up to 1.2x, allowing for incredible close-up photography. While you're focusing that close, the Hybrid IS image stabilization helps keep the image sharp by helping to reduce blur due to camera shake. 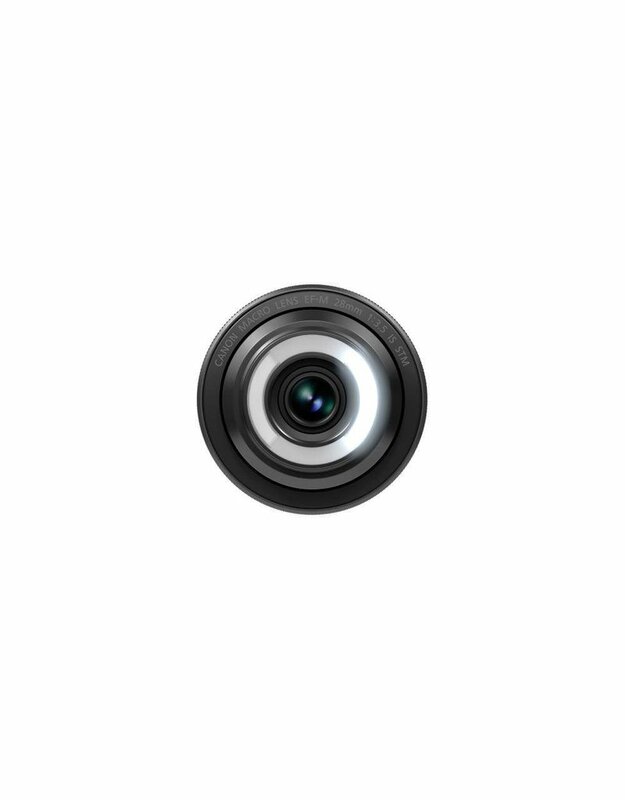 A lead screw-type STM stepping motor means the lens is smooth and quiet during operation. The EF-M 28mm f/3.5 Macro IS STM opens up a whole new world of the macro for beginner and advanced users. 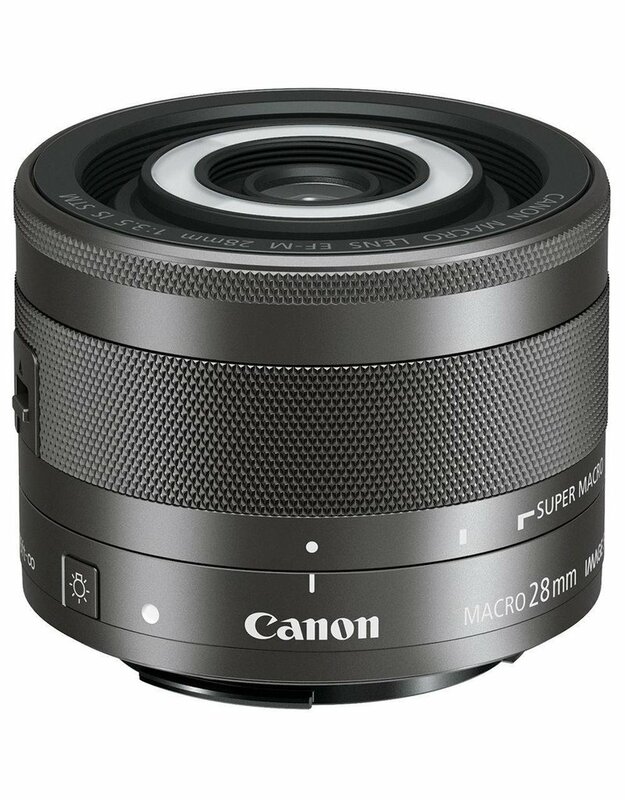 The EF-M 28mm f/3.5 Macro IS STM is the world’s lightest macro lens, featuring a total length that’s less than 2.0 inches so you can take it just about anywhere with its easy portability. 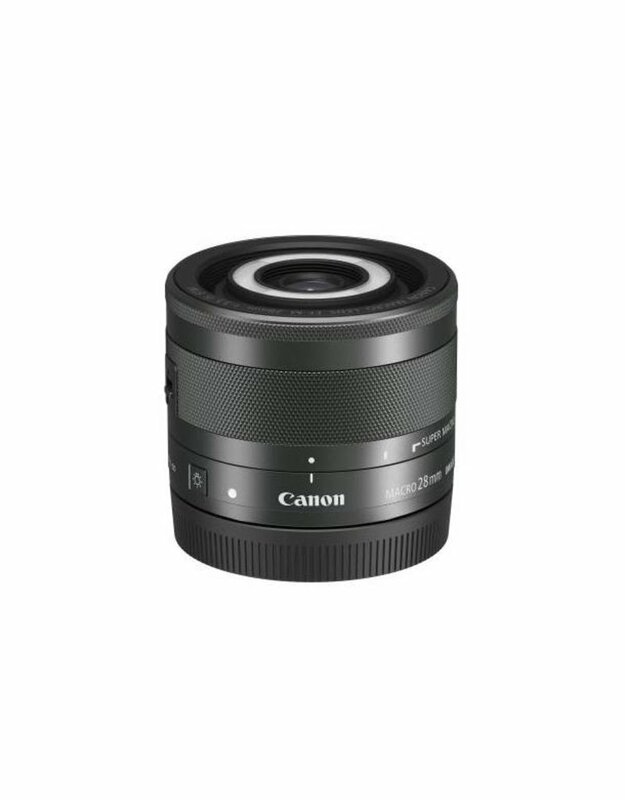 To help ensure pictures with minimal blur while capturing details and small objects, the EF-M 28mm f/3.5 Macro IS STM also features advanced Hybrid IS image stabilization technology. 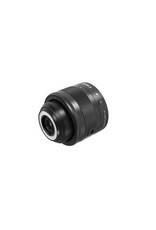 Among macro lenses for interchangeable lens cameras. As of May 11, 2016, based on Canon’s research. Lighting extreme close-up macro shots can be tricky. The built-in Macro Lite helps make this easier with LEDs that are integrated into the front of the lens, which allow a range of illuminating possibilities. Setting both sides of the light to maximum brightness can reveal previously hidden details and add sparkle to shiny subjects like jewelry or watches. Setting only the left or right side to either bright or dim settings can help create a better sense of depth and give dramatic dimension to minute details. 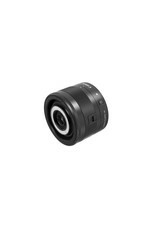 Among autofocus lenses for interchangeable lens cameras. As of May 11, 2016, based on Canon’s research. Image stabilization helps minimize blurring in an image due to the small movements common when taking handheld photos. 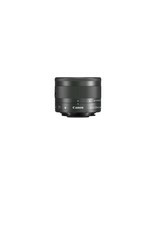 The Hybrid IS system on the EF-M 28mm f/3.5 Macro IS STM is the same system used in several of Canon’s most advanced EF lenses, and is able to minimize the effects of shakes in the vertical plane (up and down), as well as tilting or at an angle. Whether you’re taking a close-up photo of a ladybug on a flower or a video of a dog’s cheerful face, you don’t want noise that startles your subject. 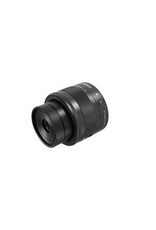 The EF-M 28mm f/3.5 Macro IS STM uses a lead screw-type stepping motor (STM), which helps ensure fast autofocusing and near-silent operation while recording videos. 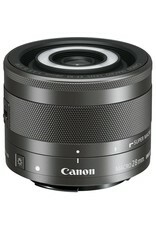 The EF-M 28mm f/3.5 Macro IS STM isn’t just a macro lens. 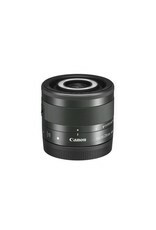 It’s also great as an everyday walk-around lens for a wide variety of subjects. 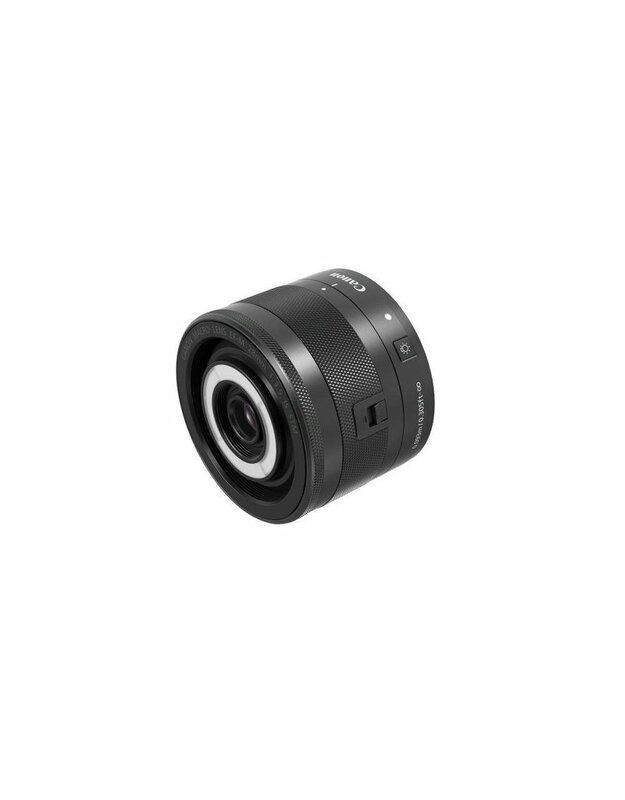 With a 35mm camera equivalent to a 45mm lens, the EF-M 28mm f/3.5 Macro IS STM is close to the human field of view, and can capture images that appear similar to how you see them normally. This means you can go from a macro photo of a flower’s petal, to a headshot of a friend, to a landscape of a sunset, all without changing the lens. 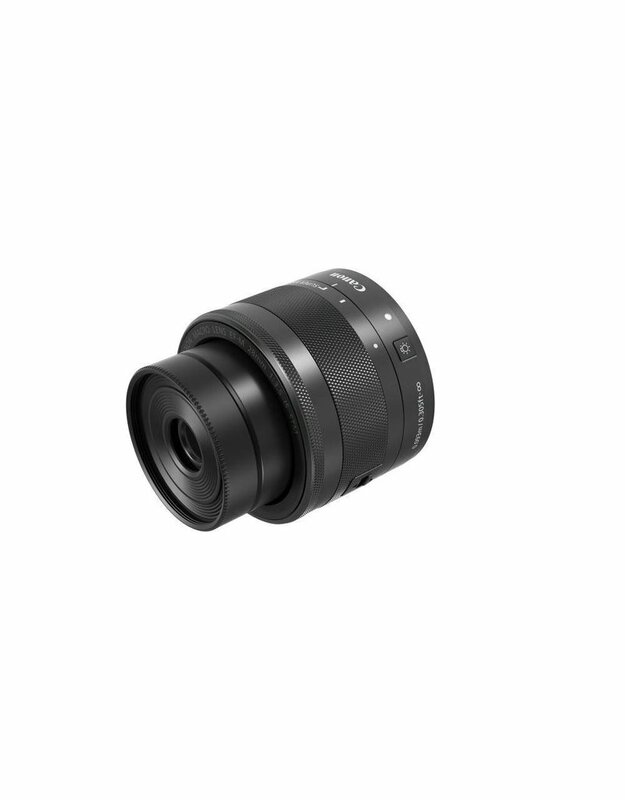 The acute lens top shape on the EF-M 28mm f/3.5 Macro IS STM is specially designed for close-in image capture. The center assembly of the lens is smaller than the main body, allowing the front lens element to get extremely close to your subject. At the same time, the main body is set back so it doesn’t cast a shadow onto what you’re photographing, or bump against the shooting surface as you get in for that detailed macro image. Combined, these features provide easy, convenient photography that’s virtually unhindered by unwanted shadows from your equipment.